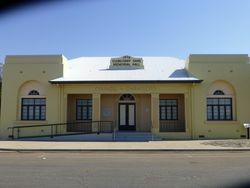 The Memorial Hall was erected in memory of those from the district who died in service or were killed in action during World War One. The building was opened in 1939 prior to the commencement of World War Two. 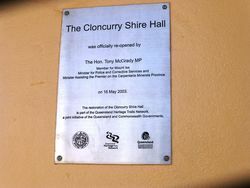 The hall was restored and re-opened on the 16th May 2003. 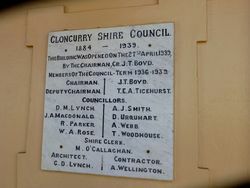 At the Council meeting on Tuesday last it was definitely decided that the new Shire Hall is to be opened before the present Council goes out of power on the 29th April next. The date of the opening ceremony has been set down for Monday April 24th (sic) and invitations will be extended to old residents of the district, prominent citizens and others to be present at the official opening of this splendid structure. 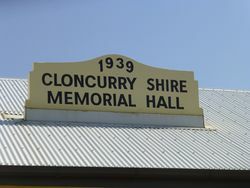 The hall has been named "The Cloncurry Shire Memorial Hall" in memory of the men of the Cloncurry district who gave their lives in the great war. 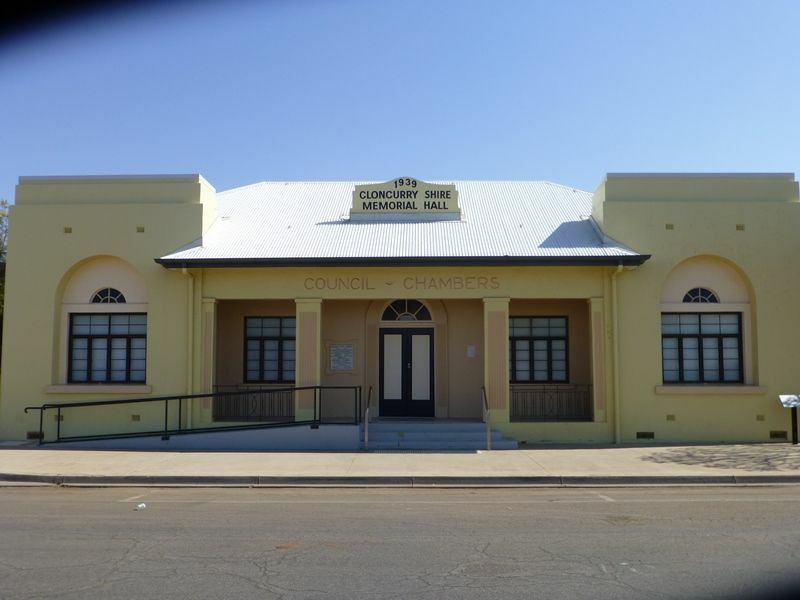 As the day of opening is just prior to polling day for the Council election, and there is sure to be a huge gathering present from all over the district. It will give our councillors a splendid opportunity to personally tell the electors what they have done for the shire generally during their three years term and those who attend the opening ceremony should hear some stirring final rallying speeches. Mr. Schwabe, electrician has been instructed to expedite the installation of the electrical fittings. Cloncurry Advocate (Qld), 11 March 1939. By The Chairman, Cr. J.T. Boyd.